We aimed to investigate the impact of maternal vitamin D deficiency during pregnancy on insulin resistance in male offspring and examine its mechanism. Pregnant Sprague–Dawley rats were maintained on a vitamin-D-free diet with ultraviolet-free light during pregnancy (early-VDD group). 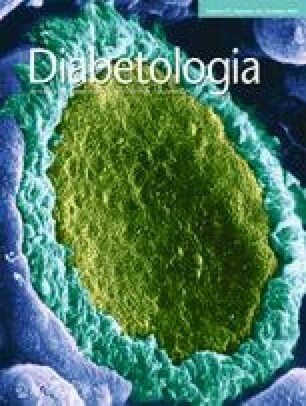 Insulin resistance in the male offspring was assessed by HOMA-IR, OGTT and euglycaemic clamp. NEFA, oxidative stress and inflammation levels were estimated as risk factors for insulin resistance. DNA methylation was examined by bisulfate sequencing PCR analysis. Luciferase reporter assay was performed to validate the effect of DNA methylation. The offspring in the early-VDD group had significantly higher fasting insulin and HOMA-IR levels, markedly reduced glucose tolerance and significantly lower tissue sensitivity to exogenous insulin at 16 weeks (all p < 0.05) compared with control offspring. Significantly higher serum and liver IL-1β, IL-6, IL-8 and TNF-α concentrations were observed in the offspring of the early-VDD group at 0, 3, 8 and 16 weeks. Expression of hepatic Iκbα (also known as Nfkbia) mRNA and nuclear factor κB inhibitor α (IκBα) protein was persistently lower in the early-VDD offspring at all time points, and their hepatic Iκbα methylation levels at the cytosine phosphate guanine site +331 were significantly higher at 0 and 16 weeks (all p < 0.01). Methylation at Iκbα first exon +331 markedly decreased the luciferase activity (p < 0.05). Maternal vitamin D deficiency during pregnancy results in insulin resistance in the offspring, which is associated with persistently increased inflammation. Persistently decreased Iκbα expression, potentially caused by changes in Iκbα methylation, plays an important role in persistent inflammation. The online version of this article (doi: 10.1007/s00125-014-3316-7) contains peer-reviewed but unedited supplementary material, which is available to authorised users. We thank J. Li (Department of Nutrition and Food Hygiene, Public Health College, Harbin Medical University, Harbin, China) for helping with the revision and L. Y. Gong and J. N. Song (Department of Nutrition and Food Hygiene, Public Health College, Harbin Medical University) for their help with animal feeding and molecular biology experiments. This study was supported by the State Key Program of National Natural Science of China (No. 81130049), the National ‘Twelfth Five-Year’ Plan for Science & Technology Support (No. 2012BAI02B02) and the Program for New Century Excellent Talents in University of Ministry of Education of China (grant NCET-10-0148). CS and YL designed the study, analysed and interpreted the data and reviewed and edited the manuscript. HZ designed and performed the study, acquired and analysed the data and wrote the draft of the manuscript. XC, YH, GL and YW were responsible for performing the study, data collection and interpretation and drafting the manuscript. All authors approved the final version of the manuscript. CS is responsible for the integrity of the work as a whole.